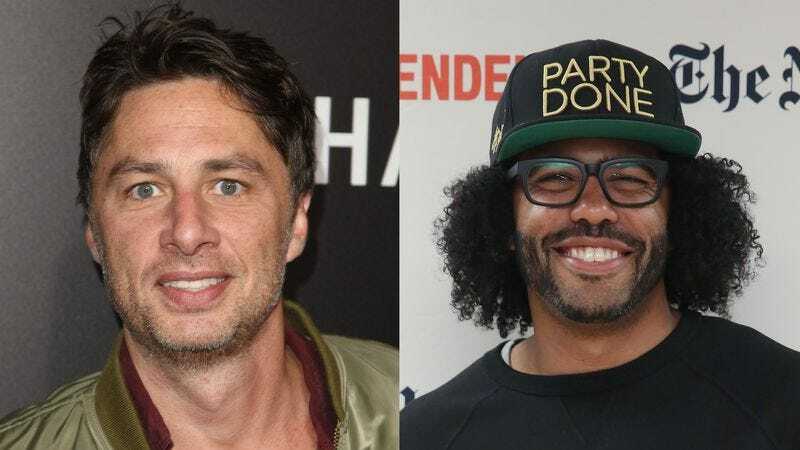 Variety reports that ABC has snagged two new pilots for itself, one from returning network star Zach Braff—who helped shepherd Scrubs from NBC to its final resting place on the alphabetical network—and one from Hamilton star Daveed Diggs. Braff will star in the pilot for Start Up, based on the podcast of the same name, where he’ll play a would-be entrepreneur diving into the world of venture capital and (possibly) crowdfunded success. Former This American Life producer Alex Blumberg (who hosts the podcast form of the show) will executive produce. Diggs, meanwhile, will produce a still-untitled show about an up-and-coming hip hop star who runs for mayor to promote his mixtape, and then accidentally wins. Diggs currently recurs on the network’s Black-ish; he rose to prominence a few years ago in the dual roles of Thomas Jefferson and the Marquis de Lafayette in Lin-Manuel Miranda’s Broadway blockbuster. Unfortunately, Diggs isn’t attached to star in the project; he’s executive producing with Speechless producer Jeremy Bronson, who’s also writing the show.